The opening itself represented a victory for Obama’s signature domestic policy achievement after years of attack from Republican foes and delays in building the technology infrastructure to support sites in 50 U.S. states. It defied a partial federal government shutdown precipitated by Republican efforts to delay the law’s implementation. “As long as I’m president I won’t give in to reckless demands by some in the Republican Party to deny affordable health insurance to millions of hard-working Americans,” Obama said in the White House Rose Garden after his meeting with people who stand to benefit from the healthcare overhaul. 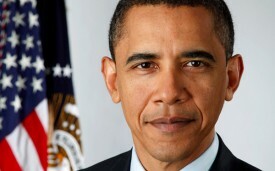 The Patient Protection and Affordable Care Act, commonly known as Obamacare, will provide subsidized health insurance based on income through the state exchanges and expand Medicaid coverage for the poor from January 1, representing the most ambitious U.S. social program since Medicare plans for the elderly launched in the 1960s. From his first months in office, President Obamasecretly ordered increasingly sophisticated attacks on the computer systems that run Iran’s main nuclear enrichment facilities, significantly expanding America’s first sustained use of cyberweapons, according to participants in the program. 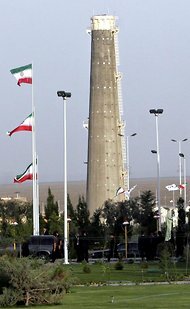 Iran’s nuclear enrichment facility at Natanz. Russia’s threat to go to war over a missile defense shield being planned in Eastern Europe reveals the weakness of the Obama administration’s policy of appeasement of enemies of the United States. The Russian threat of war comes after President Barack Obama was caught on a live mic, according to The Blaze, begging then-Russian President Dmitri Medvedev to give him “space” until after the election, whereupon he would be more “flexible” concerning the missile defense shield. The Russians, predictably, have concluded Obama is a pushover and have started employing Cold War-style military threats. The Russians have done this sort of thing before, back when the Soviet Union still existed. During the late 1970s and early 1980s the Soviets deployed hundreds of SS-20, a first strike intermediate range weapon designed to intimidate Western Europe. President Ronald Reagan despite intense pressure not to do so in the media and elsewhere, responded by deploying Pershing II ballistic missiles and Tomahawk cruise missiles, according to Newsmax. Once the Soviets realized Reagan was serious about finishing any war the Soviets started, they negotiated a treaty that banned the deployment of such weapons by both sides. A sergeant will be discharged for criticizing President Obama on Facebook in a case that called into question the Pentagon’s policies about social media and its limits on the speech of active duty military personnel, the Marine Corps said Wednesday. “I love the Marine Corps, I love my job. I wish it wouldn’t have gone this way. I’m having a hard time seeing how 15 words on Facebook could have ruined my nine-year career,” he told The Associated Press. Gary Kreep, an attorney for Stein, said he would pursue administrative appeals within the Marine Corps but anticipates the effort will fail. He said he planned to file an amended complaint in federal court. “As long as he wants to pursue this, we will be supporting him,” said Kreep, who is executive director of the United States Justice Foundation, an advocacy group. The Marines acted after saying Stein stated March 1 on a Facebook page used by Marine meteorologists, “Screw Obama and I will not follow all orders from him.” Stein later clarified that statement, saying he would not follow unlawful orders.